At Matanzas Inlet, on A1A south of SR 206. Fort Matanzas National Monument was built in 1742 to defend the city of St. Augustine from British attack. Located just 15 miles south of St. Augustine, it has stood in the Matanzas Inlet for well over 250 years. A remnant of Florida's Spanish past, today the fort is maintained by the National Park Service and is open daily to the public from 9 a.m. to 5:30 p.m. Visitors to Fort Matanzas take a short ride on a passenger ferry that runs hourly, beginning at 9:30 every morning. Both the ferry and admission to the fort are FREE. 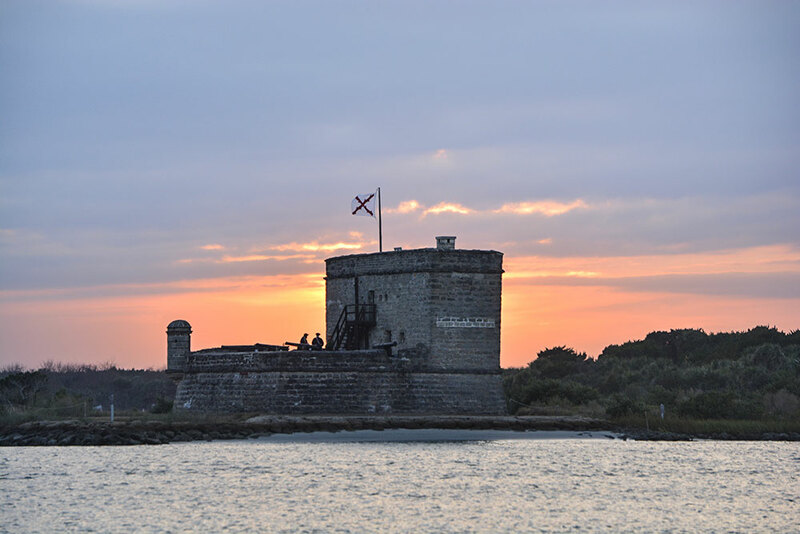 Fort Matanzas has a long history, closely connected with the founding of St. Augustine by Pedro Menéndez de Aviles. In 1565, Menéndez killed over 250 French Huguenots upon the shores of this inlet, including the famed Jean Ribault. Due to the history of the site, the Spanish named both the fort and the inlet "Matanzas," which means "slaughters" in English. That name carries on to this day. It is believed that a small wooden watchtower was always present on the inlet to guard the watery 'back door' entrance to St. Augustine. The fort that visitors see today was not built until British attacks increased along the Florida coast in the 1740s. Visitors will note some similarities between the construction of St. Augustine's fort, the Castillo de San Marcos, and Fort Matanzas because both are made of coquina. Coquina, a naturally occurring stone along Florida's east coast, is composed of shell fragments that are cemented together by the pounding surf upon the beach. This stone is easy to quarry and provided the Spanish with ample building material that was impenetrable to cannon fire. 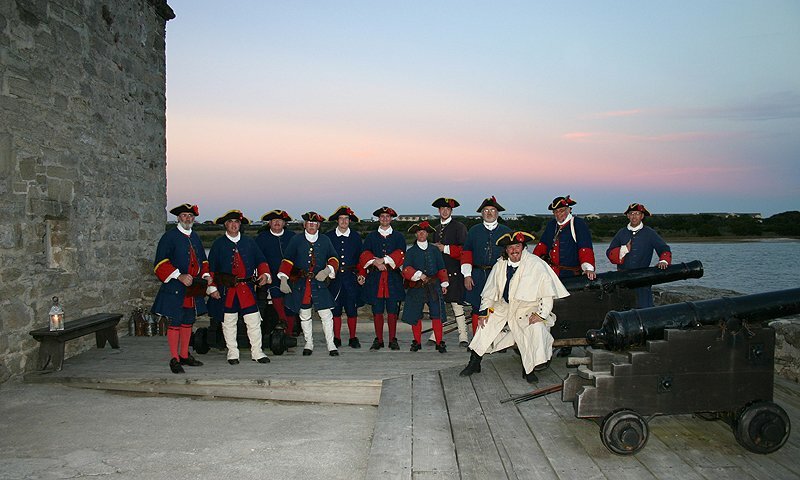 Fort Matanzas hosts frequent reenactments and living history demonstrations depicting the times of the early fortification. 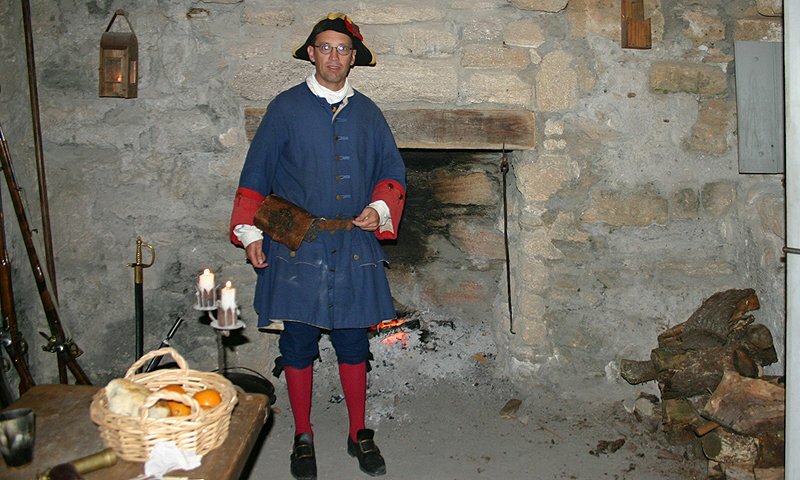 A reenactor is onsite almost every day during the summer, relaying the history of the fort to visitors. 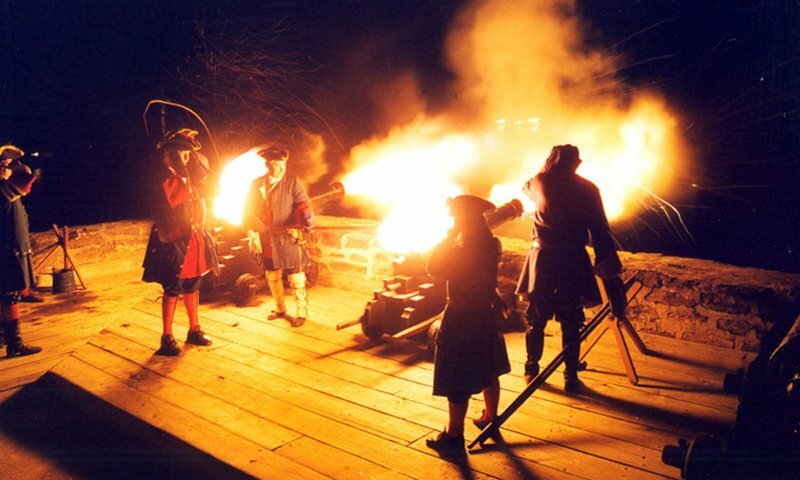 On Wednesdays and Saturdays (weather permitting), musket demonstrations are given on the hour from 12:30 – 3:30 p.m. The ferry pass to Fort Matanzas is free and may be picked up at the Ft. Matanzas Visitor Center. The last ferry each day departs at 4:30 p.m., weather permitting. Along with being a historical site, Fort Matanzas also has some beautiful nature trails. A 1/2 mile boardwalk trail leads through the maritime forests at Matanzas. Visitors can walk on the shore, collect shells, fish, or picnic. Fort Matanzas National Monument is located at 8635 A1A South in St. Augustine, just south of SR 206. I enjoyed the ferry ride but the fort was very interesting as well. A must go to for the entire family. This fort doesn't look like much, but it was the favorite of the entire family. We took our teenage son and our younger nephew, and they had a blast. This is such a cool fort to visit. We really LOVED it here and can't wait to return.